Rodeo gates open at 5:00 p.m.
VIP Dinner begins at 6:00 p.m. – VIP dinner served for 2-hours only 6:00 p.m. - 8:00 p.m.
Rodeo begins at 7:00 p.m.
FREE Dance to a Live Band Each Night After the Rodeo! Rodeo gates open at 2:00 p.m.
VIP Dinner begins at 3:00 p.m. – VIP dinner served for 2-hours only 3:00 p.m. - 5:00 p.m.
Rodeo starts at 4:00 p.m.
We will have Broncs, Bulls, Barrel Racers and the ever-popular Wild Donkey Race & Calf Scramble! Come on out and cheer for your favorite Cowboy or Cowgirl! Calling all kids 10 and under! Here’s your chance to be part of this year’s rodeo fun! The Calf Scramble is a fun way for kids to play in the arena and experience rodeo first-hand. There is no sign-up requirement and it’s free to kids 10 and under with a paid rodeo admission. At intermission, the kiddos will be invited to come down into the arena and scramble with the calves. The first to pull a ribbon from the tail of a calf will be awarded a trophy. 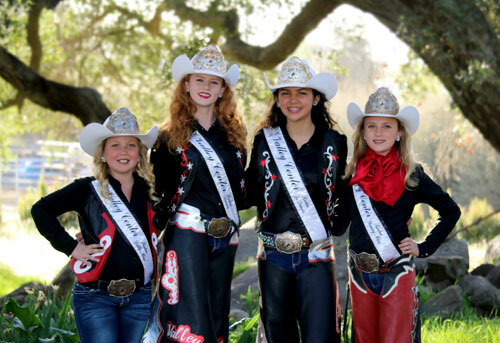 Each year, the kids have a great time experiencing the dirty side of the old west way of life. It’s often hard to tell who is having more fun, the kids or the calves!